DC Logistics, a member experienced with projects in Brazil, has just shipped a 51’ yacht to the U.S.A. The dimensions of the cargo measure out at 15 x 4.2 x 5.8 m, weighing in at 19 T.
The cargo was loaded as loose pieces and lashed on-board to a bed of flat racks, from Itajai port in Santa Catarina to Miami port; terms were quay/water. 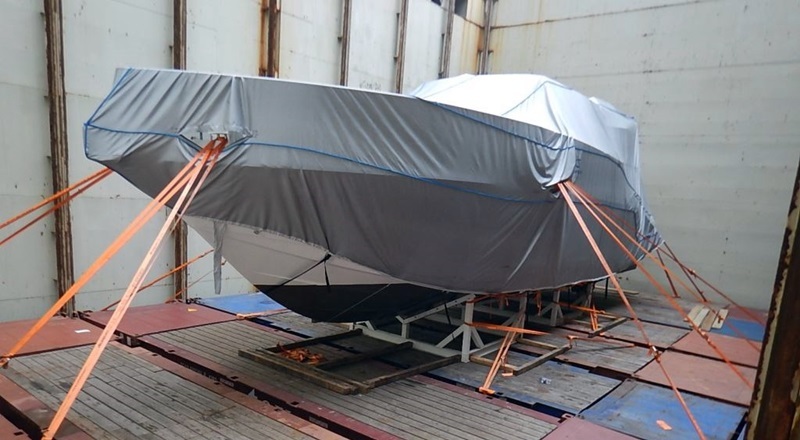 Due to the size of the cargo – mainly its height – the cargo was moved from a shipyard to Itajai port by means of a truck designed specifically for the transportation of yachts. The yacht was then assembled on the cradle at port and customs cleared and loaded the cargo on-board a container vessel.